Brand: Rainbow Dust Colours RA-03927 Units: 1 Use pen to add details to sugar flowers, molded characters, cookies, and much more. Pen has two tips- thick (2.5mm) and thin (.5mm). Use the thin end for small detail work and the thick end for large areas of color. 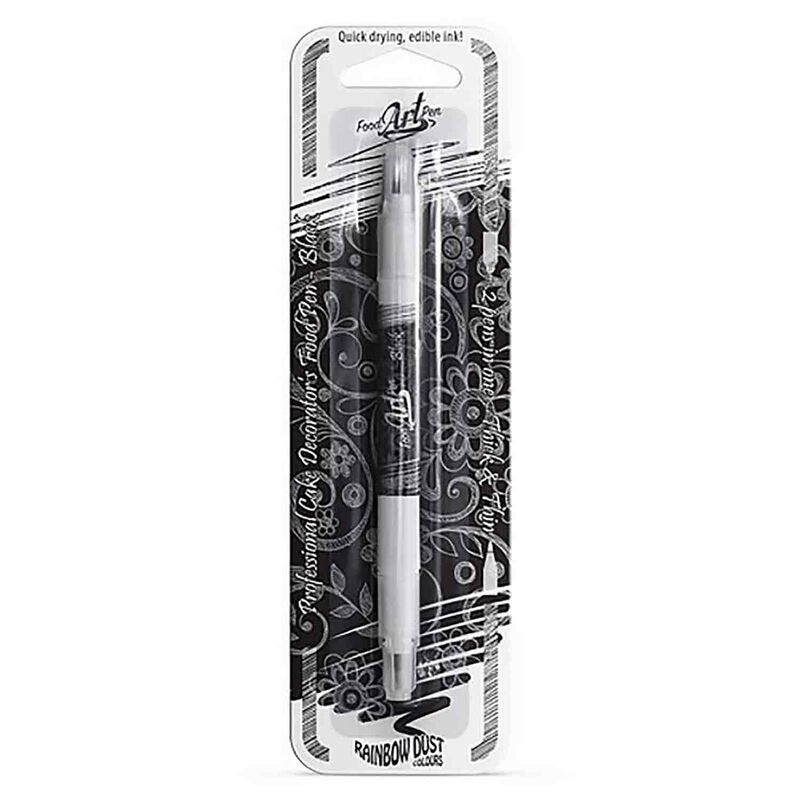 Pen contains fast drying edible ink.